Calling all Mid-Century Modern lovers! Absolutely flawless rambler perfectly melds mid century charm w/ modern updates, a spacious open floor plan with vaulted ceilings and exposed beams. Everything has been done including beautifully updated interior plus new plumbing, roof, furnace etc this is turn key! Sliding doors open to private patios in front and back perfect for dining al fresco. Rare two-car garage plus extra off-street parking. 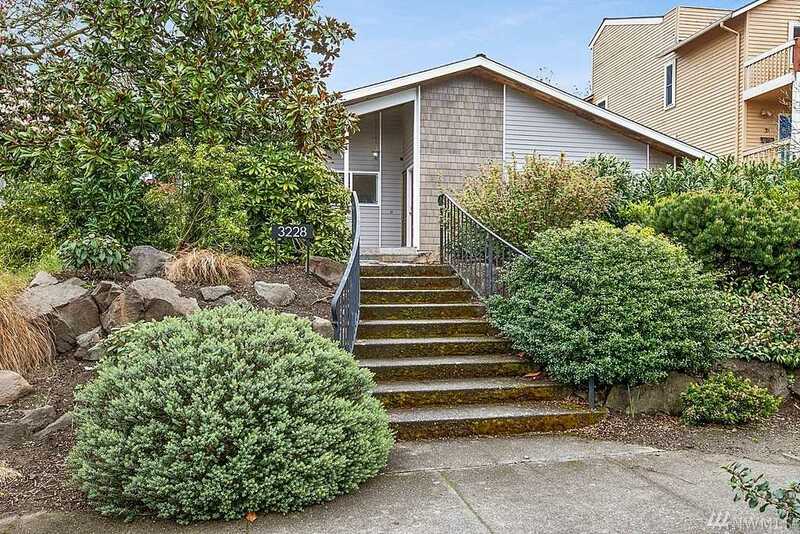 Just steps from shopping, dining, and neighborhood parks Directions: From West Seattle Bridge, take SW Admiral exit, continue up hill and turn left on California Ave SW; Turn right onto SW Hanford St; Turn left onto 44th Ave SW; home is on left.